IMF Managing Director Christine Lagarde speaks at a pre-Annual Meetings event in Washington DC on 1 October. Credit: IMF. From 12-14 October, Indonesia will host the 2018 Annual Meetings of the International Monetary Fund (IMF) and World Bank Group (WBG). Yet, as the meetings are set to kick off, the mood is one of trepidation. Alarm bells are ringing amidst rising global debt, slow global economic growth and the threat of protectionism. Nationalism and tactical tensions between global powers have grown to reveal clear battle lines, factions and alliances that threaten the very system the Bank and Fund were created to protect. The Annual Meetings will begin almost exactly a decade on from the day that Lehman Brothers declared bankruptcy, remembered as a watershed moment in the 2008 global financial crisis. Ten years on and the long-awaited global recovery remains a far off dream, as a lethargic economy precariously balances on a dangerous concoction of nearly $250 trillion of global debt and monstrous liquidity injections, while an unregulated shadow banking sector swells to $160 trillion. The impact of the recent rise in US interest rates on already fragile economies adds further fuel to the fire. In spite of the looming debt crisis and in the face of civil society demands (see Observer Winter 2017-2018), the custodians of financial stability are yet to deliver the radical steps needed to stave off another crisis, such as the creation of a long-awaited debt sustainability mechanism. Meanwhile, according to the IMF, only one in five low-income countries (LICs) has a low risk of plunging into a debt crisis, as average debt-to-GDP ratios in LICs exceed 40 per cent with no sign of retreat. Added to this, a fresh host of debt concerns, involving ever more creditors, have emerged, such as Mozambique’s $2 billion of secret loans. 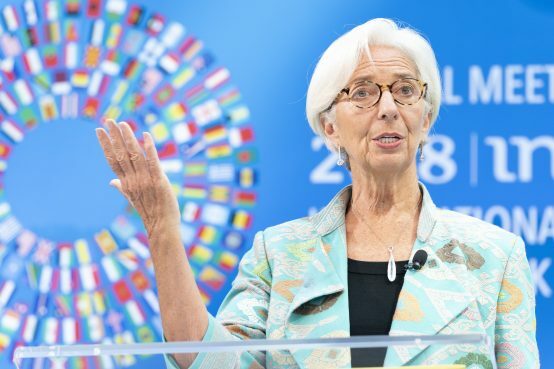 These developments take place amid a backdrop of a broader crisis of multilateralism, which threatens the very existence of international financial institutions (IFIs), not least the IMF and World Bank. As Wall Street bonuses bulged to an average of $184,000 in 2017 while debt vulnerabilities increased, austerity prevailed and inequality soared, trust in the institutions representing the status quo economics is crumbling (see Observer Summer 2018). In Europe and America, from Brexit to Trump, opposition to conventional wisdom has primarily taken the form of populist radical right movements with a cherry-picked approach of protectionist economics, generating heightened global trade tensions. Meanwhile, China’s increased role as a global creditor continues to provoke hostility from the West – as was recently highlighted by US concerns around Pakistan owing a fifth of its total debt to China. This has triggered fresh debates on whether China is evolving into a neocolonial power, leading to counter-accusations of hypocrisy from those highlighting the West’s own prominent historical role in fostering debt dependency and policy intervention to its own benefit. Yet commenting on the reaction to the crisis of multilateralism, Richard Kozul-Wright of the United Nations Conference on Trade and Development (UNCTAD) wrote, “The tragedy of our times is that just when bolder cooperation is needed to address the inequities of hyper-globalization, the drums of ‘free trade’ have drowned out the voices of those calling for a restoration of trust, fairness, and justice in the system. Without trust, there can be no cooperation.” Reviewing the line up of events scheduled for the annual meetings, it seems the Bank and Fund beg to differ, as they continue to bet on tinkering at the edges. As the World Bank prepares to formalise its general capital increase (GCI) in Bali, fears remain that the dramatic increase in capital in the absence of urgent changes in structures and policies may exacerbate existing problems for which it has long been criticised (see Observer Summer 2018). Beyond these battle lines, global civil society opposition to the status quo policies of IMF programmes has strengthened. In the last year alone, mass demonstrations explicitly rejecting IMF programmes have taken place in, among others, Jordan, Argentina, Egypt, Haiti, Sri Lanka and Tunisia (see Observer Summer 2018). Amid this growing civil unrest and quest for legitimisation, the IMF published new Staff Notes in June on operationalising gender, income inequality and social safeguards in its work, explicitly recognising that its own policies can exacerbate inequalities, as pointed out by civil society for decades (see Observer Summer 2018, Autumn 2018). ​Adding to mounting pressure on the Bank and Fund, the Peoples’ Global Conference Against IMF-WB, an independent initiative of peoples’ movements and civil society groups, will meet in Bali with an alternative summit “resisting the IMF-WBG’s corporatization of development”. Since the launch of the Bank’s Maximising Finance for Development paradigm in 2017 (see Observer Summer 2017), civil society has continually raised concerns about the risks of this “development model” and questioned the underlying assumptions of the alleged financing gap it is meant to address, with over 90 CSOs calling for a moratorium on the Bank’s promotion of public-private partnerships (PPPs) in April (see Dispatch Spring 2018). According to new data from the World Bank, the East Asia and Pacific region is at the forefront of global trends of ‘crowding in’ private finance into large-scale infrastructure projects, attracting a record $49 billion in committed private investments in infrastructure in 2017 (or 53 per cent of the global share). The Bank’s 2017 Private Participation in Infrastructure report noted that Indonesia, along with China, attracted the lion’s share of this investment, receiving “the…[region]’s second-highest level of investment in 2017, at US$15.5 billion … across only 11 projects. One high-speed railway project worth US$6.0 billion, and two coal megaprojects worth US$4.2 billion and US$2.2 billion, were the reason for Indonesia’s high investment level. Although in most countries, investment in renewables seems to be rising, in Indonesia, almost 90 percent of investment was in coal projects.” Given pressing concerns around climate change impacts, the country’s expensive coal investments are indicative of a wider regional development paradox, that sees rising energy needs occurring concurrently with many countries experiencing increased vulnerability to the effects of climate change. CSOs have also questioned the cost-effectiveness of the PPPs model. A forthcoming joint CSO report compiling negative outcomes from 10 PPP projects in different sectors, and across four continents, some of which have been supported by the WBG, will be launched at this year’s Annual Meetings’ Civil Society Policy Forum, adding to an ever-growing body of evidence, such as that provided earlier this year by the UK’s National Audit Office and the European Court of Auditors, which question the logic of PPPs (see Observer Summer 2018). The Human Capital Index: Pushing privatisation under the guise of development? The Bali meetings will also see the launch of the Bank’s much-promoted Human Capital Index, which will rate countries on their investments in the human capital of their citizens when they depart school. While few would doubt the need to invest in education and other essential development needs of children and youth in developing regions, the HCI is likely to do little to overcome acute development challenges linked to structural inequality and may indeed distract attention from equally pressing policy debates (see Observer Autumn 2018). The HCI must be considered alongside other Bank country rankings, including the Doing Business Rankings, which have rewarded countries for deregulation of business and flexibilisation of labour markets, thus eroding labour rights and state revenue bases necessary to support the effective service delivery on which ‘human capital’ development in premised (see Observer Spring 2018). The Bank has also attracted considerable criticism for the forthcoming 2019 World Development Report on the changing nature of work from labour unions and others, who have accused the Bank of promoting further erosion of collective bargaining rights at the expense of business interests (see Observer Summer 2018).